Added note, 8 December 2015: Patronize this restaurant at your own peril. Last night, for the second consecutive visit, about 60% of the crab claws were "OLD". By that, I mean that they tasted ammonia-ish and were inedible. paid the 65,000 ($3) I owed (it's Việt Nam! ), and left. She knows I'm a good customer because she greets me every time with a warm smile and "Xin Chao" (Hello) and, while I am getting seated, she brings over the bag of kitten food that I bought (third one) for her two kittens that were previously surviving on scraps, and feeds them. Other customers arrive and she might acknowledge them with a nod. Yet she does nothing to keep me as a customer... like replace the bad claws with good or, what a concept, replace the whole damn plate! Patronize her at your own peril. 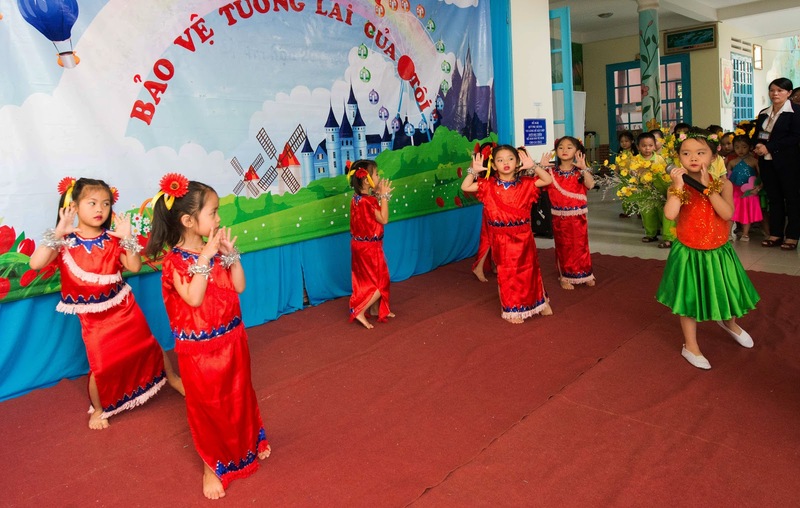 When you come to Đà Lạt, you will have many choices of restaurants, some good, some horrendous, and some outstanding. In this way it's like most other places that aren't England. In previous posts, I wrote about some of my favorites. For most of those listed in TripAdvisor's database, I wrote reviews. 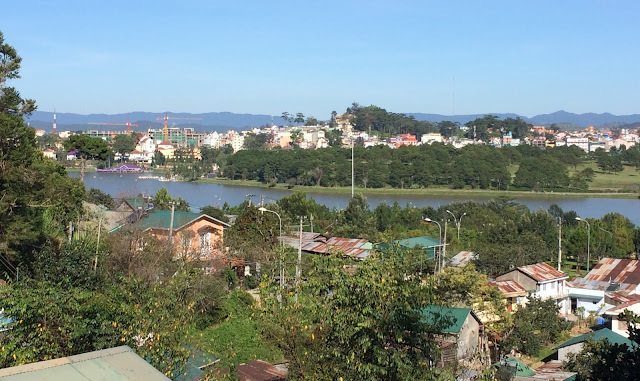 Ninety percent of the restaurants that the relatively non-affluent locals frequent are not in TA, and well-behaved foreigners are welcome at all of them—at least that's my experience; less so at some of the even more numerous cafés. We both highly recommend the crab (cua) claws... and the snails (ốc). Especially the cua! It's somehow fresher and more firm than what you get in a similar restaurant in Saigon and HALF the price. The other night we each had a bowl of crab claws (she like them with more spice that I, the guy who used to carry hot sauce everywhere he went, do) and shared a bowl of clams in lemongrass broth, and a few Bò Húc (Red Bull). 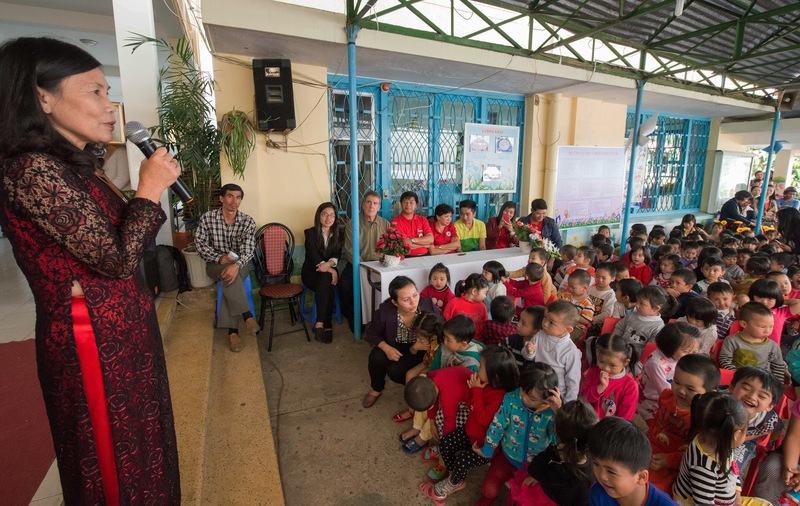 The total bill was 200,000 VND (US$9) and we were FULL! 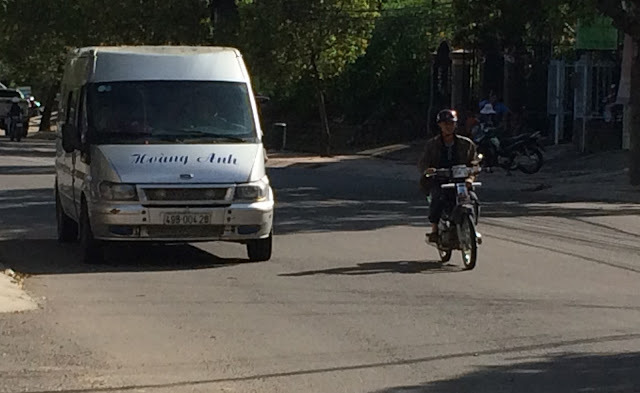 By the time you get to Dalat, you will probably already know about VN's "freeform" street number assignations. It's at the high point on that road and on the right as you come from town... you'll find it. This keeps you on QL20 and you still end up at the bottom of the hill that climbs beautifully into town, just a little later. There is a hard left followed by a right up a ramp (don't go through the underpass) just after the Langfarm/Prenn Waterfall entrance (tour buses abound) that is easy to miss. Did you notice how I positioned the camera so the tree branches match the peaks? Check out their blog; I think you'll enjoy their style. 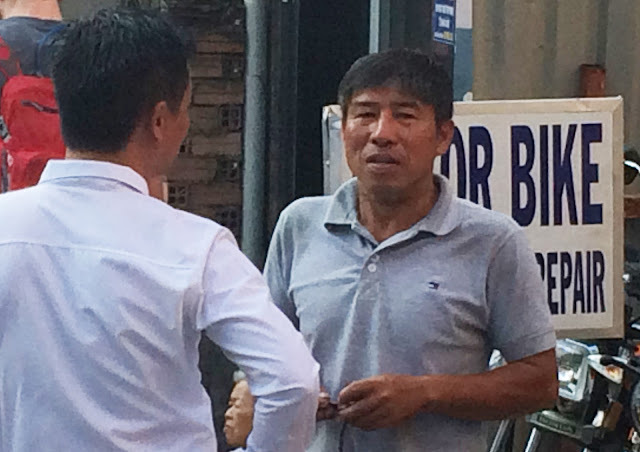 Do NOT buy a motorbike from him!!! 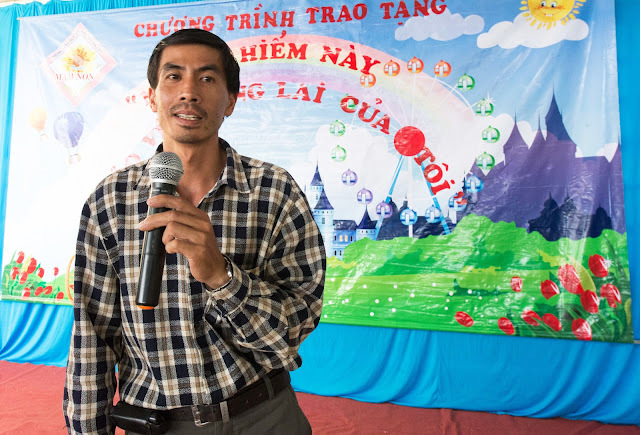 He sells repainted and prettied-up bikes that aren't worth half of what you'll pay and, when the bike breaks down—if you're lucky, while you're still in Saigon; if you're unlucky, after you're out in the boonies—he will refuse to fix it or to refund your money. 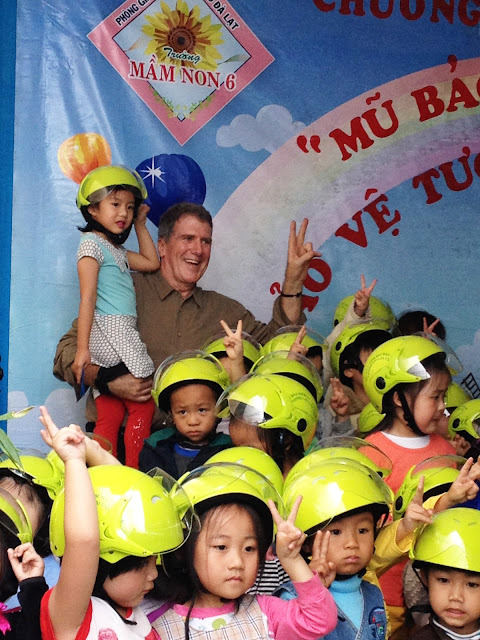 Remember, this is Vietnam and there are no returns. Once the money changes hands, it's yours. Save yourself the aggravation and buy from a reputable shop. My favorite shop, where I've bought three scooters and a motorcycle in 18 months and they're all still running well (I gave or sold them to friends is how I know) is Flamingo Travel at 30A Do Quang Dau—just down the street. Ask for Cong (that's him in the blue shirt) and he'll set you up at a fair price. Their prices are a little higher than the other shops; money well-spent if you want a well-prepared bike that'll get you all the way to Hanoi and beyond. 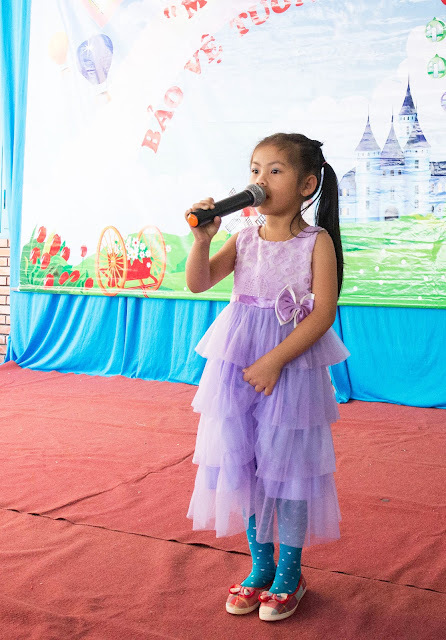 The shop phone number is +84 (0) 98 675 1020. 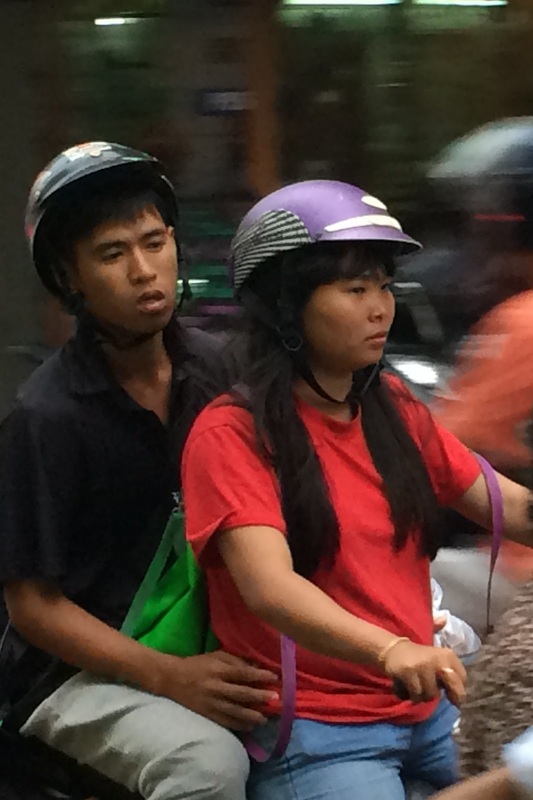 Their HQ is in Hanoi, and the web site is pretty much Hanoi-specific. 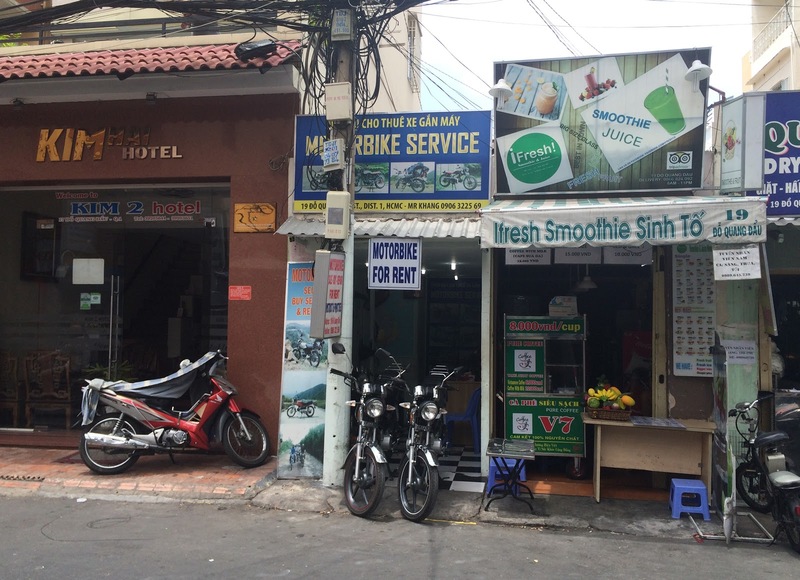 If you go to or call the Hanoi shop (+84 (0) 4 3926 0938), ask for Hung (the owner) or Chris (a Brit) and you'll get the same top-level treatment. It won't hurt if you tell them I sent you, though it won't help much, either... they treat everyone very well, regardless. A few months ago I was riding the cruiser along a two-lane road when I saw an inter-city minivan coming toward me. He suddenly veered across the center of the road (lanes are fluid here and any lines, even double white, are simply decoration) and headed directly AT me! I moved as far to the right as was possible, though that was restricted by the badly timed obstacle of people walking along the side of the road exactly where I needed to go... so I hit the brakes as strongly and safely as I could just as the minivan driver's side-view mirror SLAMMED into my left-side mirror! Keep in mind here, that the mirror sits about four inches above my left hand. There was no other traffic on his side of the road and ABSOLUTELY NO REASON for the minivan driver to swerve toward me. Had I done anything other than what I did, my passenger and I would probably be dead. I finished coming to a stop and immediately started shaking. 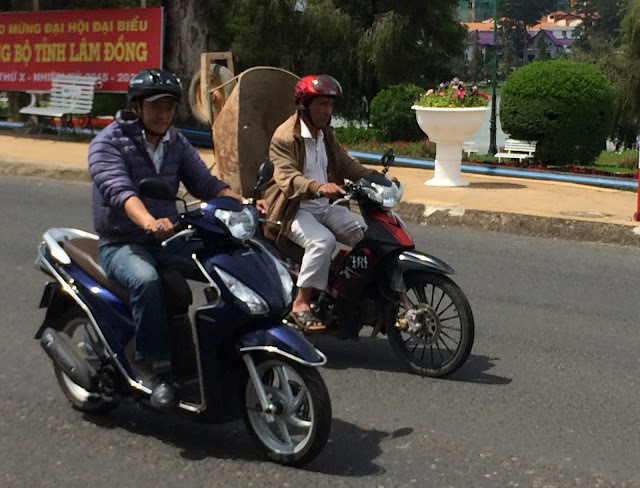 I'm sure that both my pulse and my blood pressure shot sky-high as my passenger quietly swore in Vietnamese. I turned to look for the minivan and, as is standard here, it didn't even slow down in search of its next kill. This experience is one of the reasons that I will do whatever I can to avoid ever riding in one of those things. The big buses might be a little scary, but after many months of daily observation, I'm pretty sure the minivan companies hire only psychopaths as drivers. 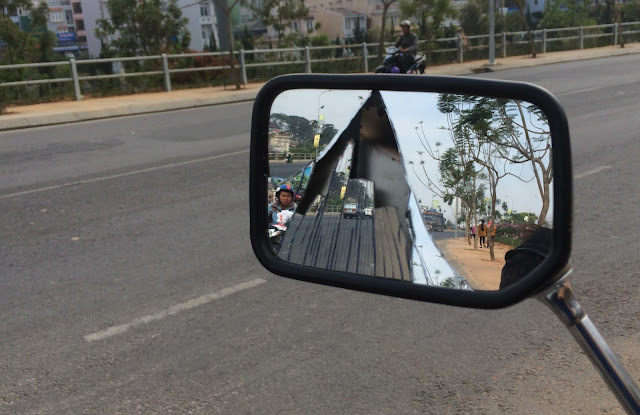 If you ride outside the cities in VN, you will soon learn that when the trucks and buses coming the other way want to pass, they will take up most of your lane, leaving you about a foot more than the width of your bike—two feet if they're feeling generous. The minivans give no quarter, and even the locals slow down and move as far to the right as they can; sometimes even off onto the shoulder. We were lucky that day. The mirror was a cheap fix. A number of foreigners I've spoken with before and since ended up with broken bones after failing to get completely off the road for an on-coming minivan. Nomadasaurus is a blog written by Lesh and Jazza, and it chronicles their overland backpacking journey from Thailand to South Africa. I never met them and am unsure how I first heard/read about their blog... and I welcome every email telling me there's a new post/adventure. Theirs is a very different journey from mine and I hope you will check it out. Phở Quỳnh at the corner of Pham Ngu Lao and Do Quang Dau is still my favorite phở restaurant and my first stop every time I go to Saigon... before checking into the hotel. Back in July, I wrote about tires and tire pressure. 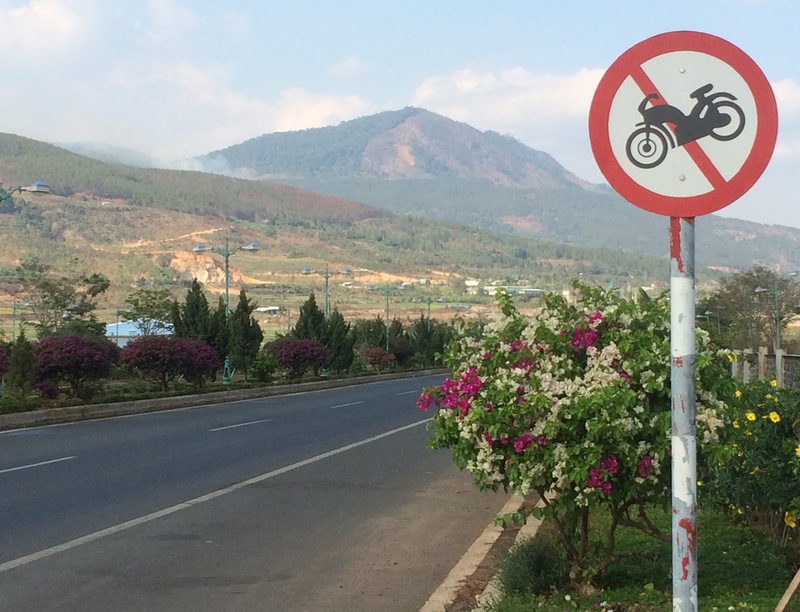 This article on motorcycle tires just came to my attention and I'm sharing it for those who would like a little more information (see the end of the article for tire pressure information). "Because we don't want the police to stop us"
"Because we don't want the police to stop us." "Because the police will make us pay a fine (i.e. 'gift')." Nothing about safety or protecting their brain case or that it will protect their intelligence. Or on top of a hat so that it, again, may come off just after the rider does. 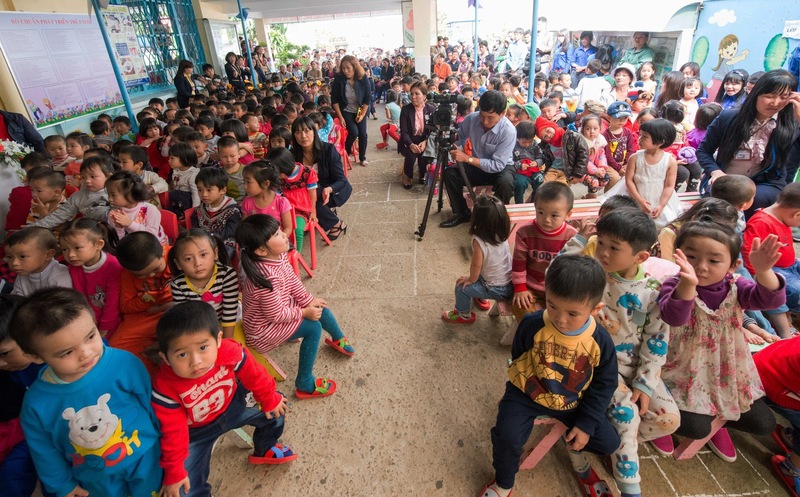 Part of my self-assigned work here is ensuring as many kids as possible have a chance at a future in which they are NOT constantly drooling as their head lolls around uncontrollably. Part of it is helping as many adults as possible understand that the helmets are for their protection and keeping the policeman's hand out of their pocket is a bonus. 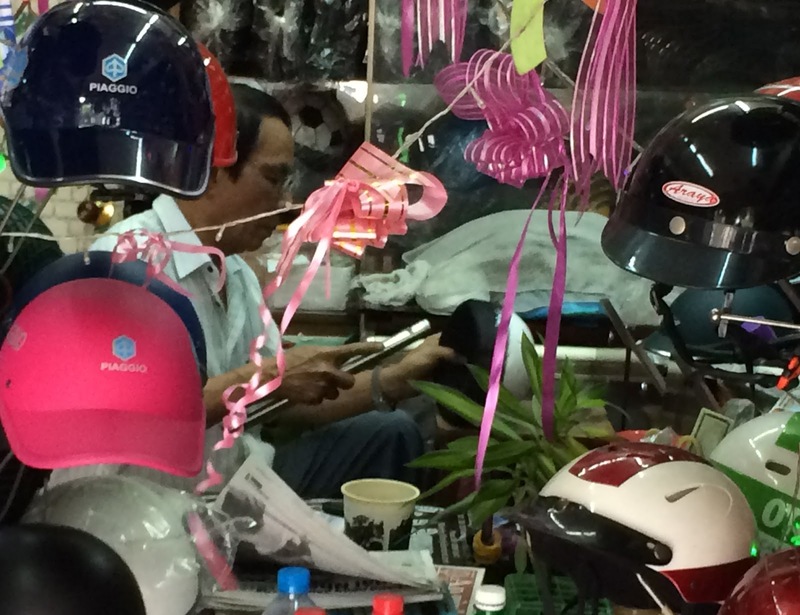 That same mentality allows this shop owner in Saigon to use a heavy metal rod to pre-deform the helmet lining so that it fits a customer a little better. 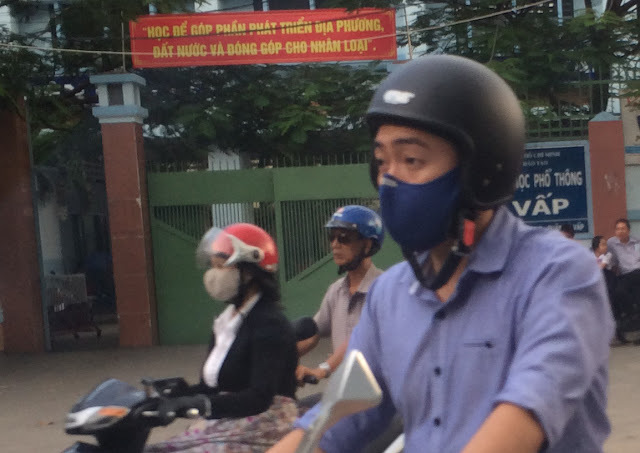 He is also pretty much guaranteeing that the little protection the helmet provided when new is now zero protection—and knows he's doing wrong because he refused to allow me to take a photo of him doing it. I waited 'til he wasn't watching me before snapping the above shot. 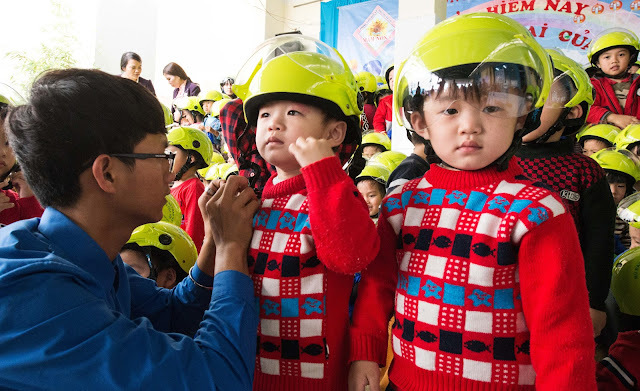 There may also be pluggable holes in the helmet laws, though I think it's more likely an enforcement problem—the police don't stop the bicycle/inferior helmet wearers because they figure, "if the rider can't afford a proper helmet, I'm wasting my time looking for a 'gift'." EVERY ride, whether it's on the 125cc scooter or one of my 400cc motorcycles, I wear a full-face helmet. Yesterday afternoon I carried one of my three as I walked the 100 meters to the shop where I get them (the bikes) washed. 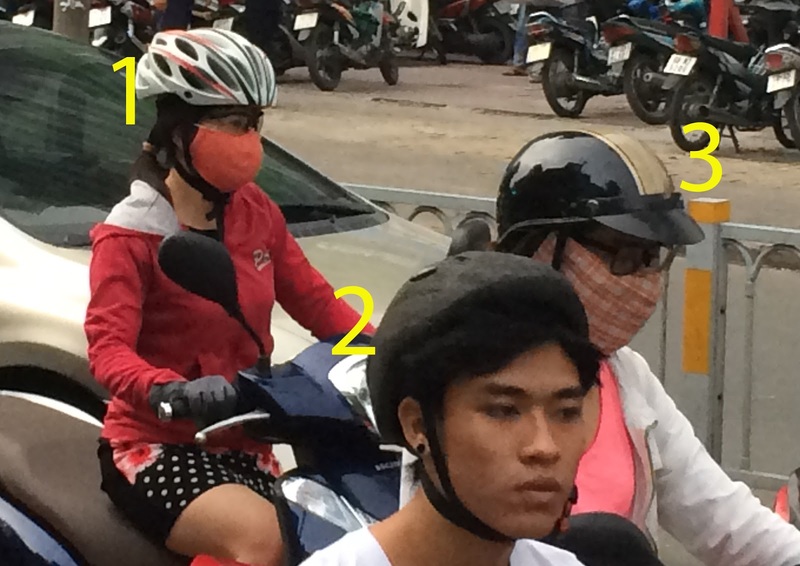 After paying the recently increased price of 40,000VND (~US$1.80) for a thorough cleaning, I donned my protection (we're talking HELMETS here ;-) and rode 100 meters home. Yes, I get looks from the locals. So? 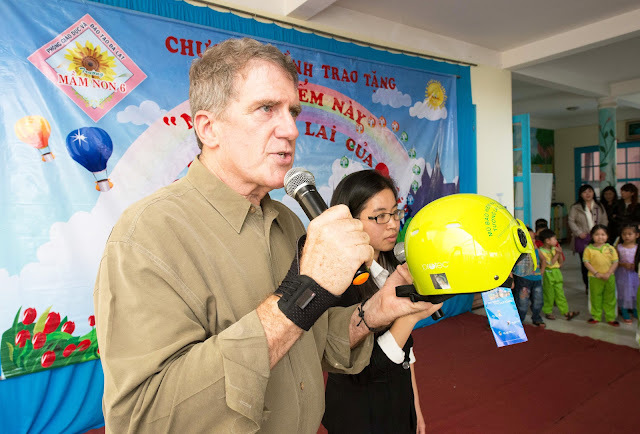 Hell, I've even had a couple pinhead ex-pats ask since I'm in Vietnam, why don't I wear a Vietnamese-style helmet? They always add, "I do." My internal voice quotes friend Mike W, "If you have a $10 brain, wear a $10 helmet" while my external voice says, "Because when I go off the bike at a given speed, it's the same impact on the tarmac whether I'm in VN or America or Australia and (to quote another rider whose name I forget) "I don't want to have to re-learn the alphabet." In taking the conversation further, I get that they think that because the speeds are lower here, a "good" helmet is not needed... proving Mike W's words true. There's at least one Brit ex-pat here, close to my age, whom I see regularly at my favorite Western-food restaurant. He rides a very powerful bike that, according to everyone who knows him who's brought it up, is WAY over his riding ability. Guess what kind of helmet he wears? Close... he sports a slightly improved, open face version of the standard VN helmet. When he goes off hard onto his head, I just hope he doesn't suffer and that it's a quick death. 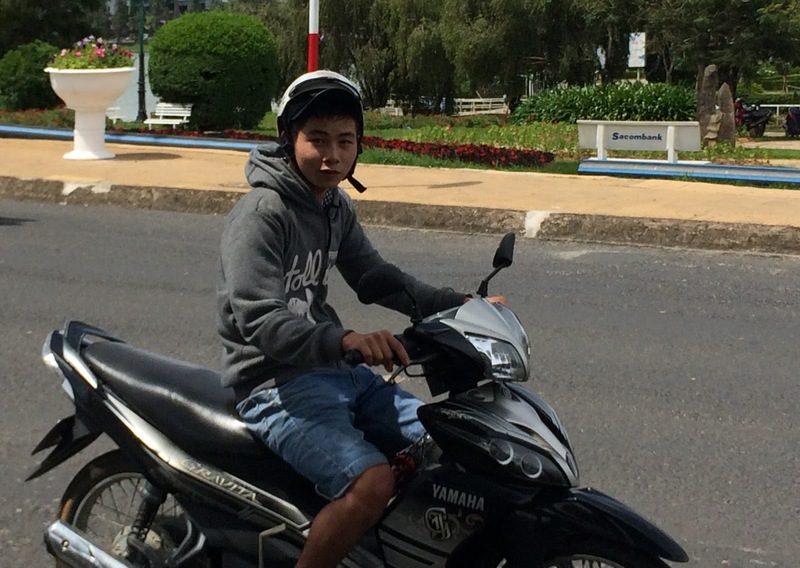 My and I rode the 300km to Saigon last week on my cruiser. Before we left, we had a lengthy discussion about why I wanted her to wear a full-face helmet in place of one of the Protec helmets I bought her. 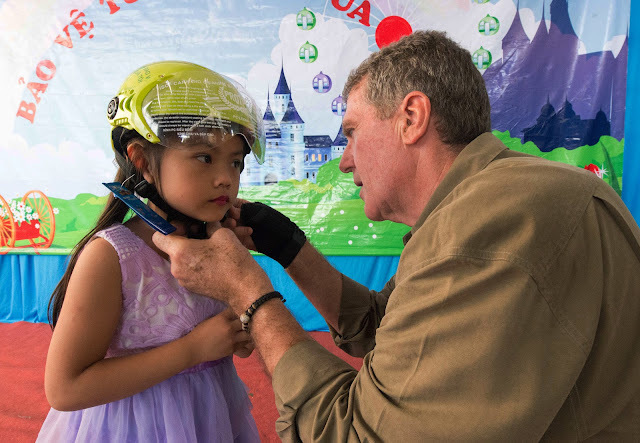 I reminded her that the roads are a LOT rougher and the traffic is a LOT scarier between here and Saigon than it is in-town AND that I would ideally like here to wear a full-face helmet all of the time... and which, though I won't tell her this, I know is NOT going to happen. I think she also understands that had I been wearing an open-face helmet, my jaw would still be wired shut, and I'd be drinking my nourishment through a straw and scheduling serious reconstructive surgery. 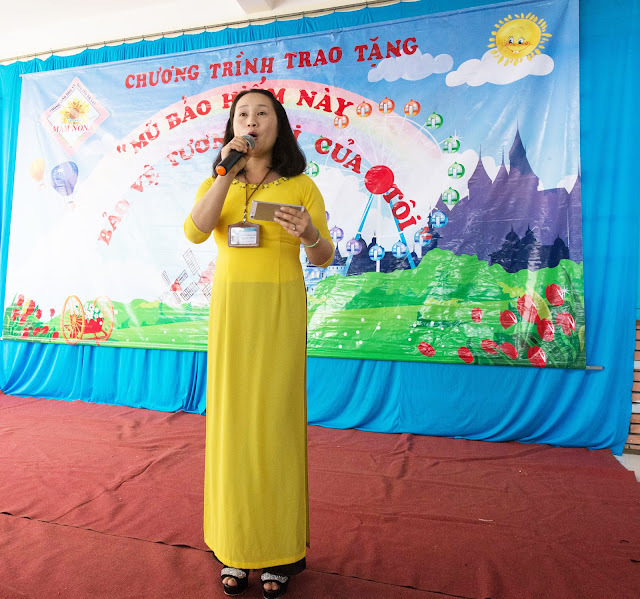 She's heard me say many times that, if she falls off the bike onto her face, she will be "không đẹp" (not pretty) any more... and she still resists strenuously. 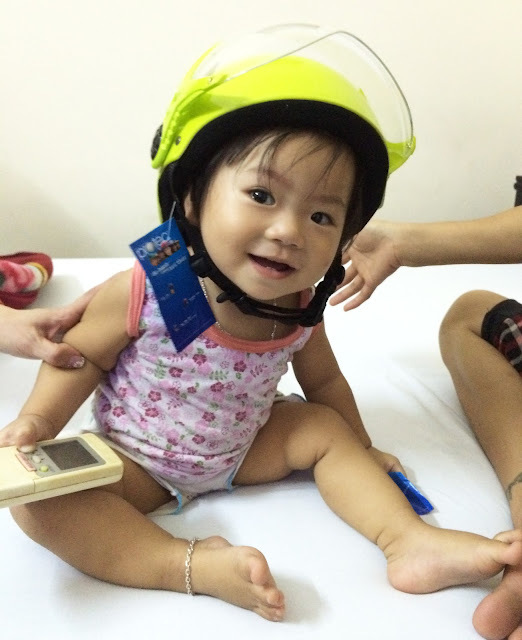 It finally came down to a compromise: she wore the full-face helmet and got to ride with me to Saigon. 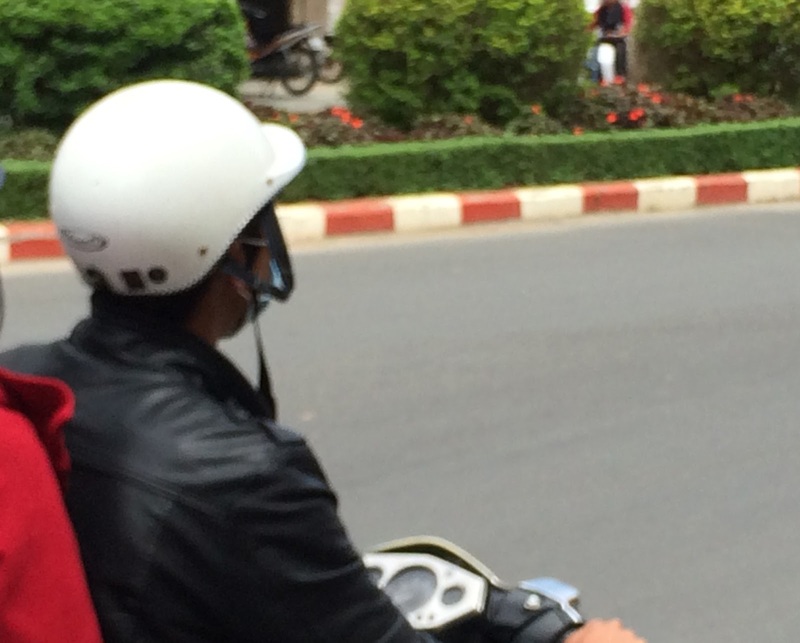 We also agreed that any trip to another town/city merits the full-face helmet. It's the best I can do for now, though I'm far from giving up. This is worth watching, no matter your politics... and especially if you get all your news from Fox! There are 537 "This helmet protects my future" helmets on the roads of Việt Nam... so far! 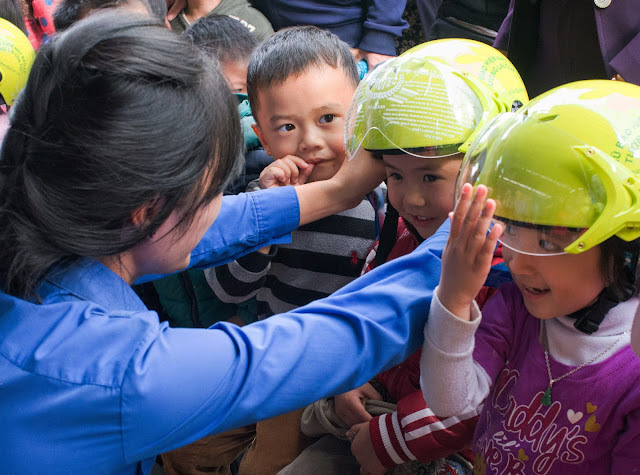 On 5 October, we visited the second school, gave away 293 helmets—one to each student and staff member—and had a GREAT time doing it! bring the total to 537 distributed... and 31still awaiting new owners. We're working on how best to give those out—more on that as we figure it out. In addition to the children's helmets, I decided early-on to give a helmet to each adult working at the school in any capacity, from Principal to cleaning staff. This helped excite the staff about the project and used that fact that Việt Nam is a "tribal society" to our advantage. 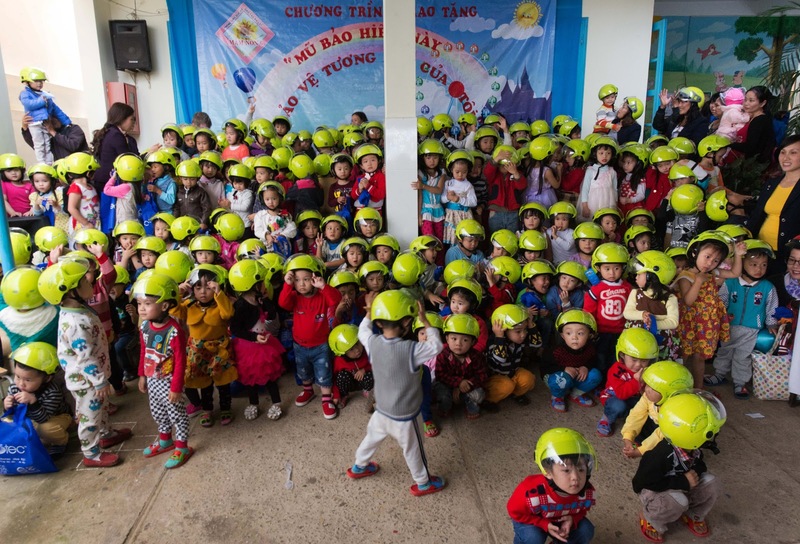 By giving helmets to the adults, it kept the tribe of the school intact, reinforced the importance of wearing the helmets, and ensured that anyone who did NOT wear his/her helmet would stand out; in a tribal society, people want to fit in. 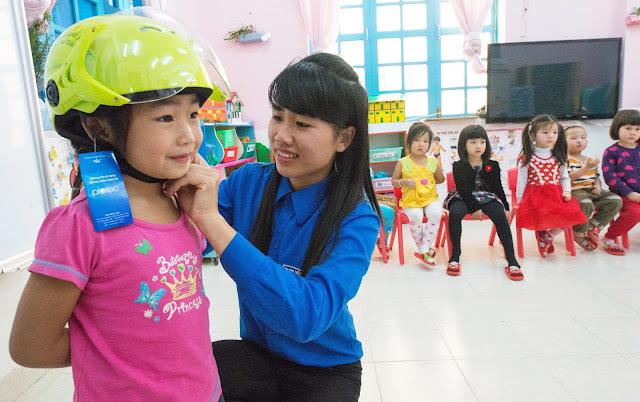 There are 267 students from three to six years old at this school and we wanted to ensure that each child's helmet fit correctly to maximize its effectiveness. 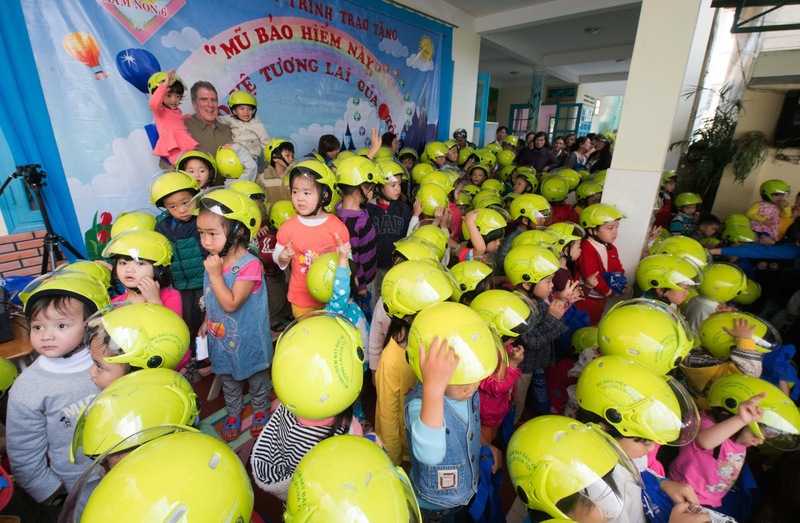 There is little-to-no training in VN on proper and safe motorbike riding and even less on proper helmet fitting, so Vy (my right-hand and translator) rounded up 11 of her friends from Đà Lạt University to help us hand out the helmets and ensure a proper fit. 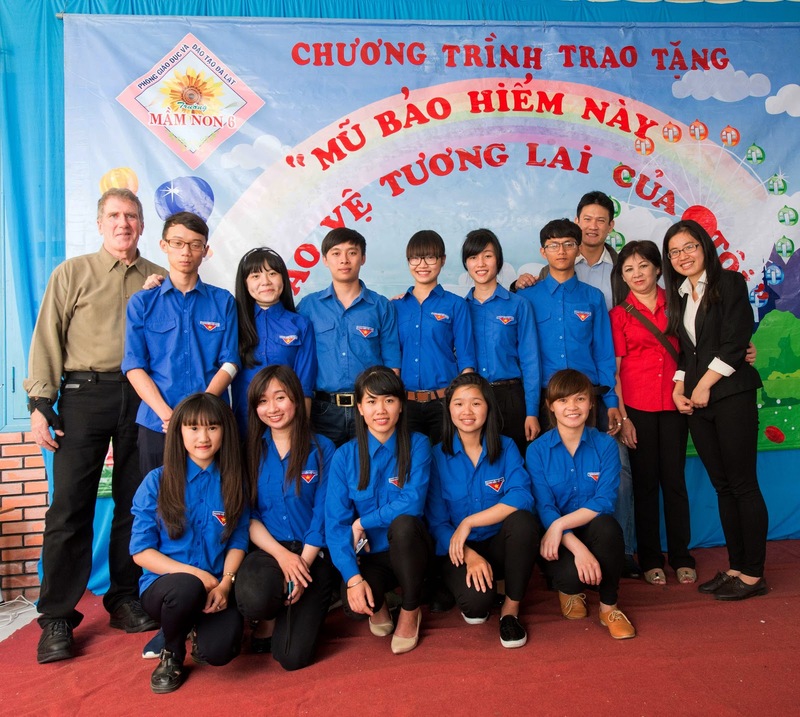 I took the students and two Red Cross officials to lunch a few hours before the event. After lunch we went to my house where I showed them how to check that the helmet is the proper size and then adjust the straps to ensure that the helmet will stay on in an accident. 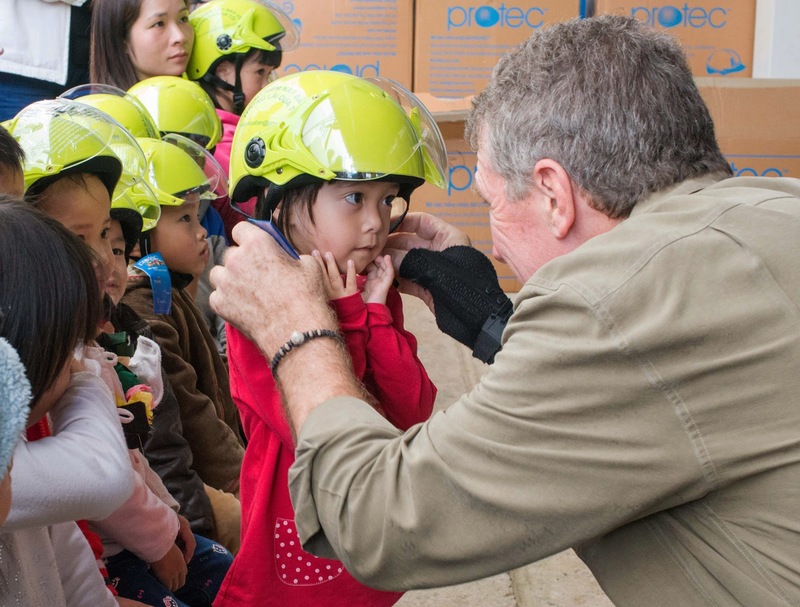 I found it rewarding that, when putting their own helmets on to leave for the school, some of the students readjusted their own straps. 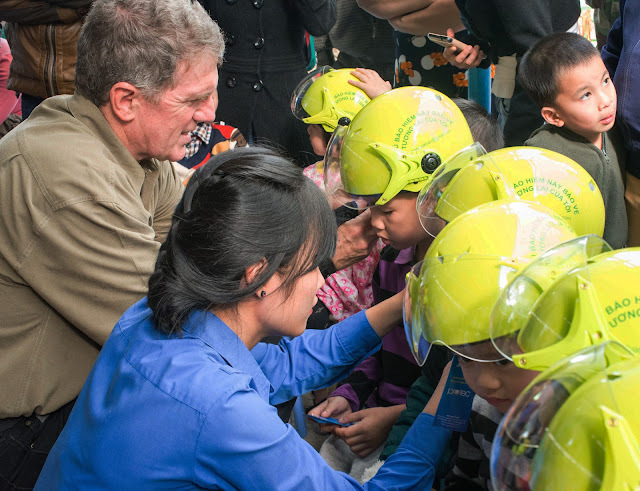 One even asked if he could borrow one of the student's helmets because now he sees that his helmet is no good. 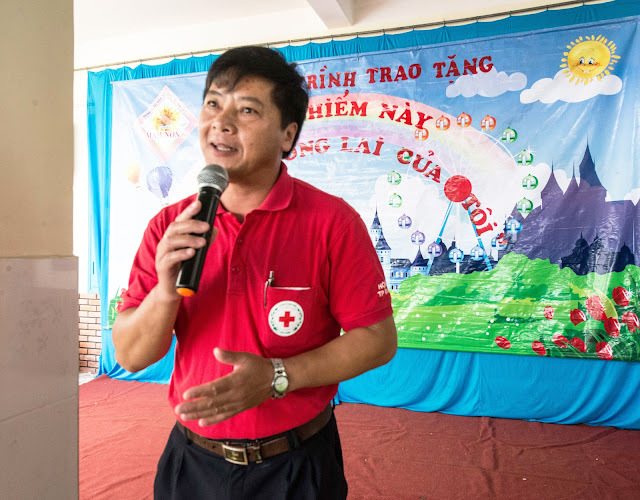 Thanks to the Đà Lạt Red Cross, we had a reporter and a news camera at this event... and we made the evening news. Click here to see the video (it starts at 2:45 and lasts for about a minute). Click here for a translation of the voice-over. We also hired a video cameraman who put together a compilation video of the presentations at both schools. 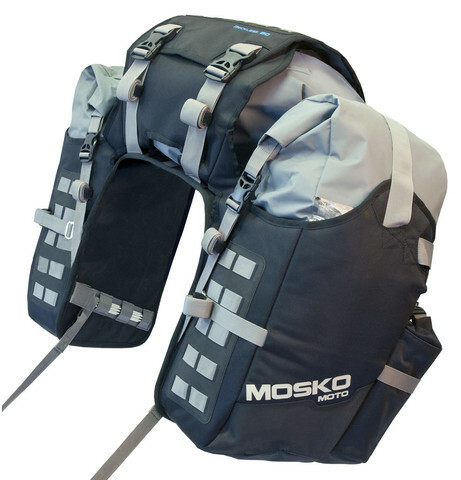 do not fit inside conventional luggage and even the largest are relatively small compared to the average suitcase. They therefore add to the number of bags checked at $150-175 per bag after the first two, so I only considered soft-sided luggage that would compress almost flat for air transport. My only "must have" was waterproof, immediately narrowing the possibilities by (I'm guessing here) about 60%. My definition of waterproof excludes those pieces that need a rain cover, in part because I've had them blow off, reducing it to "normal" and sopping wet. 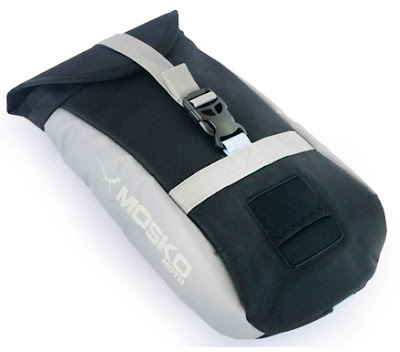 The only exception to this is my tank bag because I've yet to find one of any design that is truly waterproof. Click here for the blog post in which I detailed my reasoning for the luggage I chose to use two years ago. It worked well at the time, and now I'm looking to stretch/extend my horizons. That post is, by the way, the most frequently viewed of the 170+ posts on this blog to-date. What modifications will it need or will I want? There are many hundreds of web sites and blogs on these topics and hundreds of thousands of opinions. Most of the topics I listed are greatly subjective; while I think I'll want a 600cc or larger bike, there's a guy currently on an RTW astride a 50cc Honda Ruckus. Selection of tools is significantly less subjective with the generally accepted wisdom seems to be to take the basics and then, "everything else you can shoehorn into your bags." I use the web site sites for ideas on products/items to consider, and to gather facts and information; I first learned of the existence of both my Redverz tent and my LuxuryLite camping cot, both of which I raved about in a recent post, on one such site. It will come as no surprise to those who know me that I'm what is called an internal decision maker—I form my own opinion and the opinions of others are of little-to-no importance or influence. That's neither good nor bad, it just is. 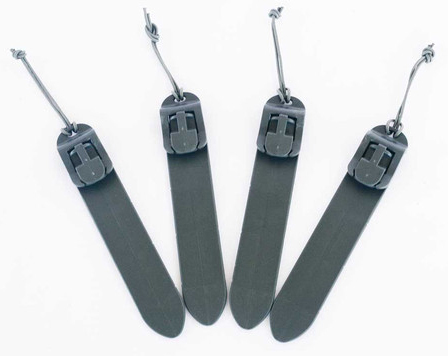 Hard keeps the bike relatively more upright when it's dropped; is more susceptible to damage when dropped hard; is waterproof unless severely damaged; adds undesired weight; can damage the meat popsicle in a hard crash; can be securely locked; and is virtually impossible to remove when properly attached and locked. 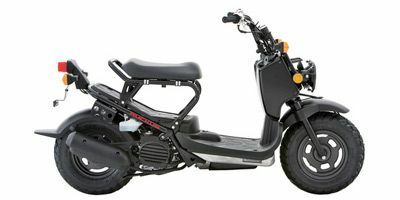 Soft flexes more when then bike is dropped; is waterproof in some styles; is difficult to secure against theft/vandalism; is lightweight; and probably won't damage the owner in a collision. After three days with the hard panniers on the DR, I decided that I was definitely going with soft bags—especially after I saw the MoskoMoto bags that one of the instructors had on his GS1200. Although I'd read a little about the brand, this was the first time I actually saw them in-person. He has the Backcountry Pannier Kit, and they require side racks. 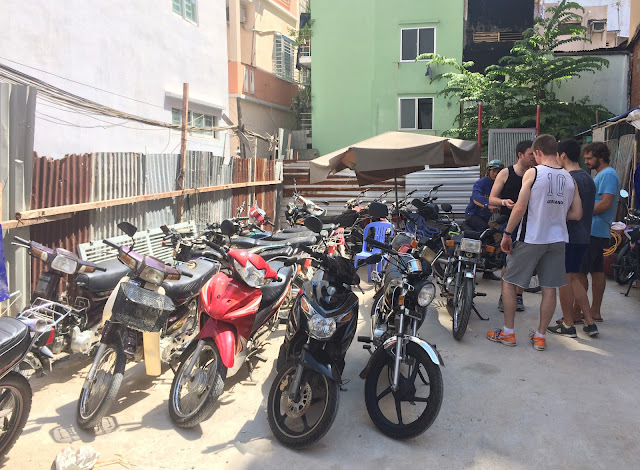 Since my DRZ lacks side racks, buying them would necessitate a couple hundred more dollars expense... and add another two items to what I'm lugging back to VN in my already over-loaded luggage. Not gonna happen! 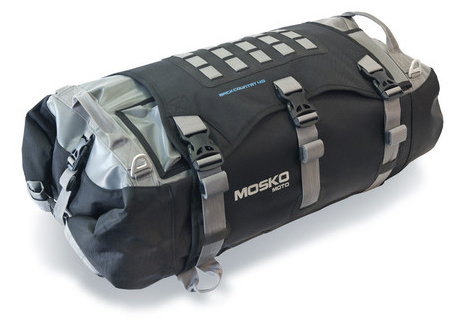 and two large storage bags that attach securely to either the Reckless or the Duffel using Molle sticks. I left for Canada and the HU Travellers' Meeting before they arrived, so I used the hard boxes and a few waterproof soft bags for that trip... where I met someone using the same system I awaited. Everything he told me about his experience with it reinforced my buying decision. 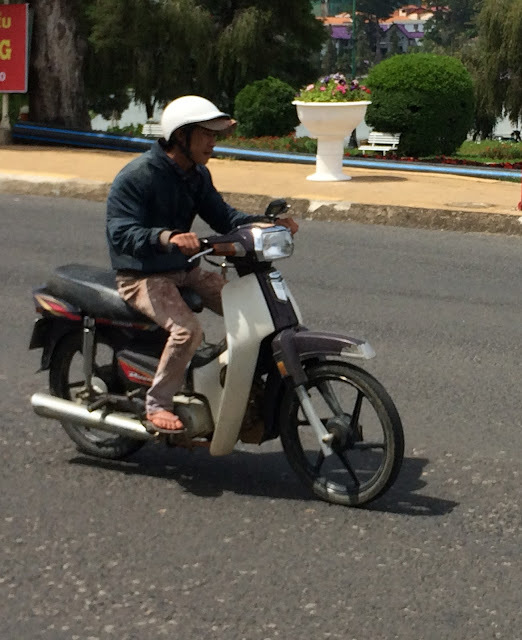 One of the first things I did when I got home to Đà Lạt was fit the system to my DRZ. It fits beautifully and I'm now even more looking forward to my next trip! If I am unable to fit everything in the two components, then I'm definitely over-packing. 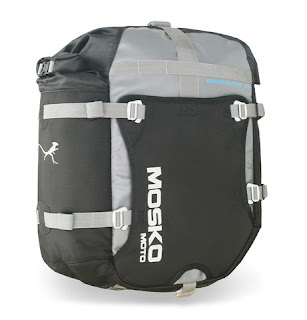 I strongly recommend that, before you buy ANY motorcycle luggage, check out MoskoMoto. They're a small company with great (and beautiful) product and outstanding customer service. Even more importantly, they probably have something that's just what you're looking for.